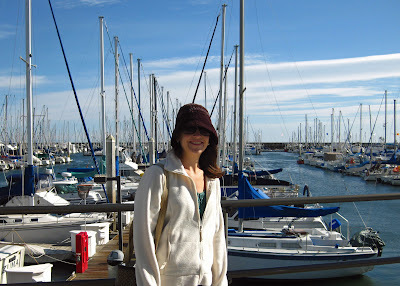 Jamie and I decided on a nice weekend getaway to Santa Barbara last Saturday/Sunday. While it was raining and wet in Pomona, it was beautiful in Santa Barbara. The air was cool and a bit windy, but the sky was blue, blue, blue! We walked on the harbor. 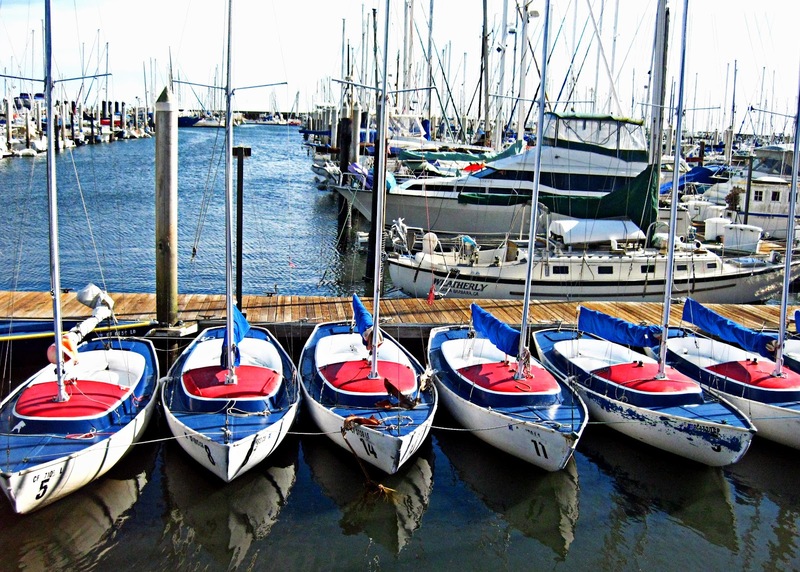 I took a number of photos of the boats. My goal is to have Meme paint me a picture of the photo below as a Christmas Gift to my wife's grandmother Lois. Lois is a sweet lady who travels the world 65% to 75% of the year. 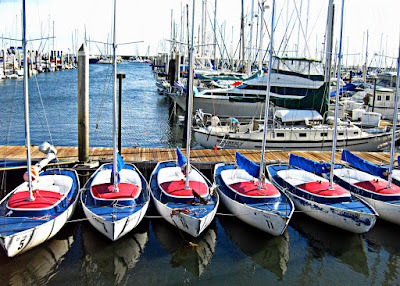 The last time we were at her house, I noticed she had many paintings and photos of boats and harbors. I think she will like a painting of the scene below. 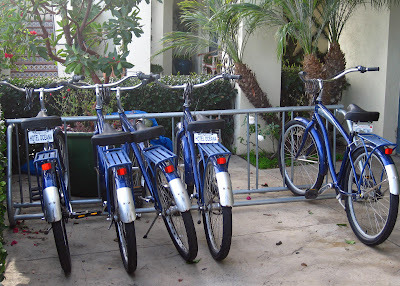 Beach communities love their bikes. Hotel Oceana is right off Cabrillo, guests are welcome to use their complementary bikes to get around town. Penny Farthing - Wheel Fun Rentals on State Street had this Penny Farthing displayed outside. I wonder how much this one rents for? Jamie used to work for Wheel Fun while we were in college. 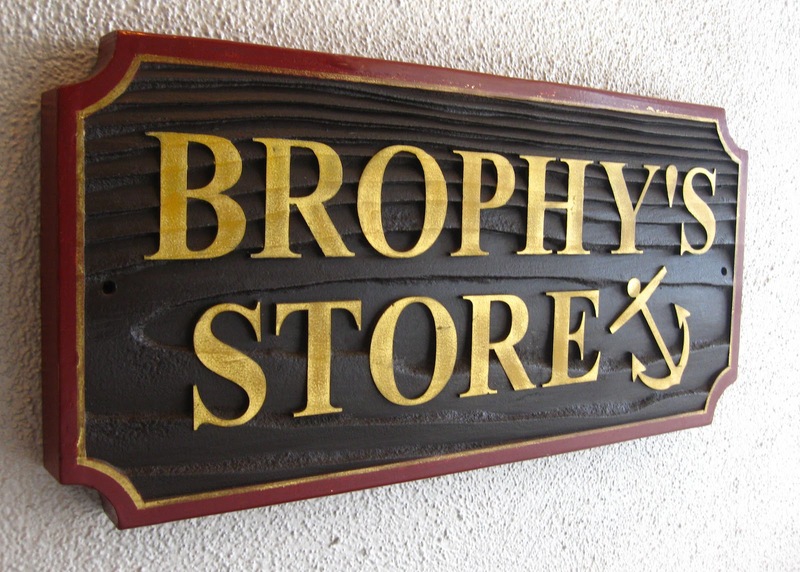 Ah Brophy's. 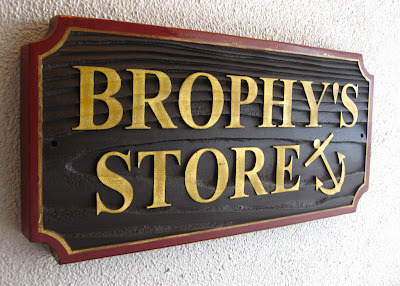 If you are ever in Santa Barbara you have to eat at Brophy's. I recommend the Beer Batter Shrimp Cocktail and Cioppino. I mentioned to Jamie that when we first started going to Brophy's, we used to be the age of the waiters and waitresses. Time flies. 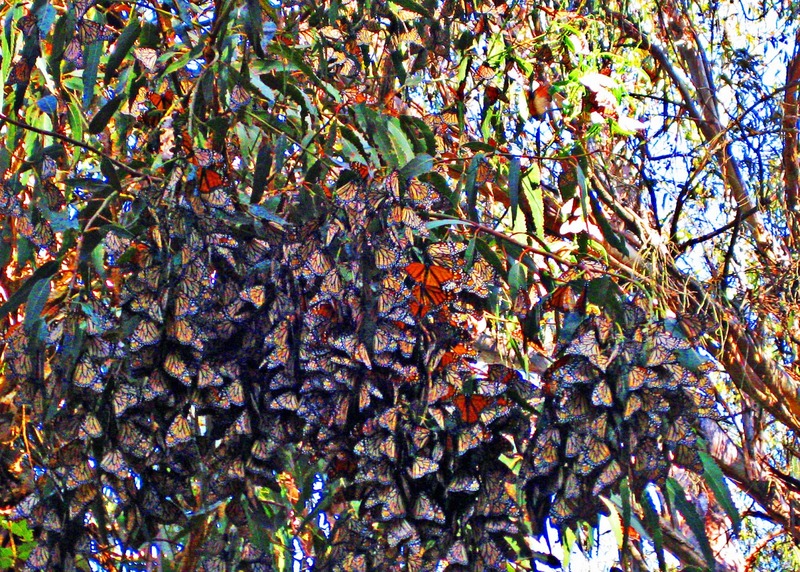 If you are in Santa Barbara in December or January, I also recommend you visit the The Coronado Butterfly Preserve. In Dec/Jan you will find thousands (100 Thousand!) of Monarch Butterflies basking in the sun. 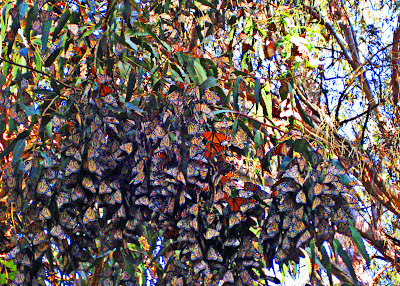 There were so many butterflies hanging off the eucalyptus trees. 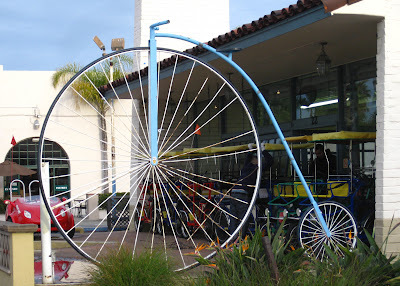 And the darker side of Santa Barbara - With so many bikes you have to make sure even your seat is secured to your bike. 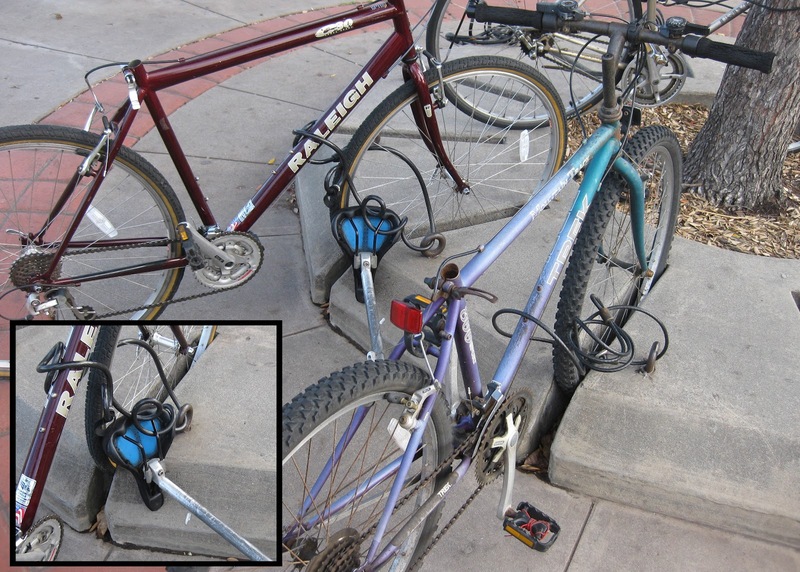 Below is a picture I took of two bikes parked and locked next to each other. 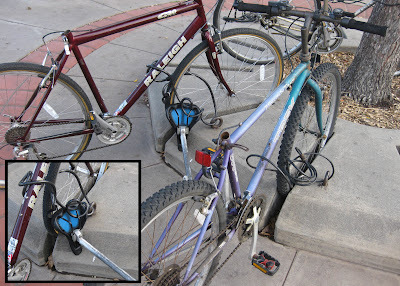 The person who locked their bike on the left include locking their bike seat. The person on the right didn't secure their seat and sure enough, it was missing. I saw many bikes around town with missing seats. Sometimes people take their saddle with them when they leave their bike, as an added disincentive to possible bike thieves. I thought about that too. There was quite a number of missing seats.